Welcome to Day 5 of Satori’s Blogiversary Event! Today is the final giveaway and it comes from me! I’m certain there’s a part of your home that could use a little freshening, and that’s where the Satori Refresh My Nest prize pack comes in. Firstly, the winner will get to select one room in the house that needs a little help (we’re talking a decorating job, not a major overhaul). It could be a laundry room, bedroom, front entrance or whatever room one’s little heart desires. After seeing photos and gathering info, I will create a mood board like the one below that includes decor item suggestions to freshen up the space. I will also include a written plan for pulling it all together. 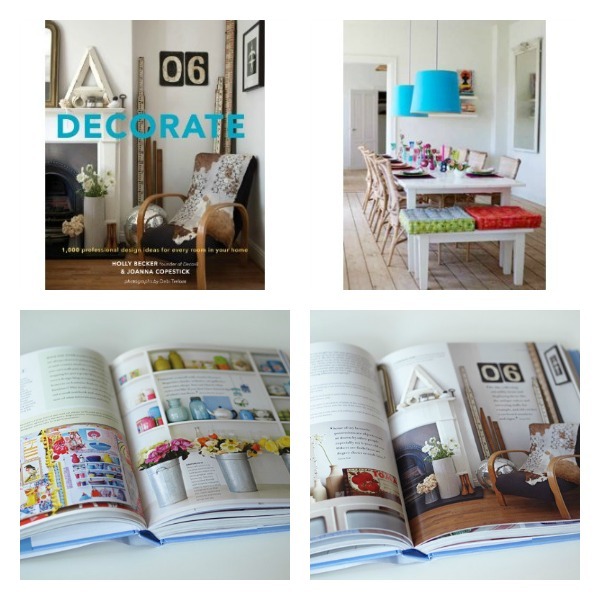 In addition, the same winner will get a copy of one of my favorite home inspiration books, Decorate, by Holly Becker. 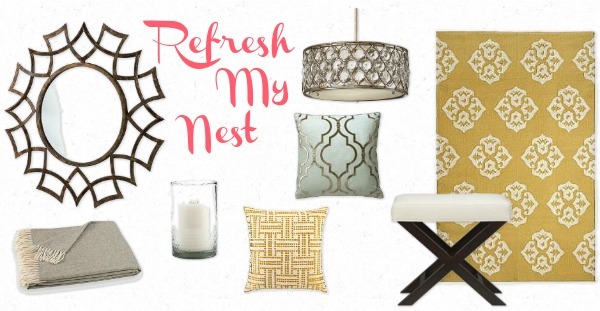 The total value of the Refresh My Nest prize pack is over $200! All of this is my way of saying “Thank You” for being so supportive and kind this past year! I encourage you to enter as many times as you can. P.S. If you haven’t entered Monday’s, Tuesday’s, Wednesday’s or Thursday’s giveaways, there’s still a little time! I will start announcing the winners on Monday. Update: Check out Sarah’s Kitchen Design! Good morning Shauna, what an amazing giveaway! It would be hard to pick just one room but I think our bedroom would be the most in need of an update as I think it was probably 10 years since it was last done. Happy Anniversary Satori Design, I love You! What an amazing giveaway! The room I would choose would have to be our bedroom! It is in desperate need of an update to say the least, lol! My laundry room is a disaster and I definitely use your help 1000%! I need to refresh my office/craft room. My master bedroom has been a work in progress. I’m trying to DIY my way to a fresh look, and spend as little as possible, because we rent and are definitely on a budget! If I win, I would love your feedback!!! Oh my, what a great prize to win. I would really like your help with our front entrance or bedroom! Amazing giveaway … And your blog is pretty amazing also! The room I need help with would have to be my family room….it’s the most used and abused room in our house! It bends a fresh look. Thanks Renee! I appreciate your support! I would choose my living room. I would choose my living room. It has an uber annoying corner fireplace that drives me crazy. I would love some help with the playroom! 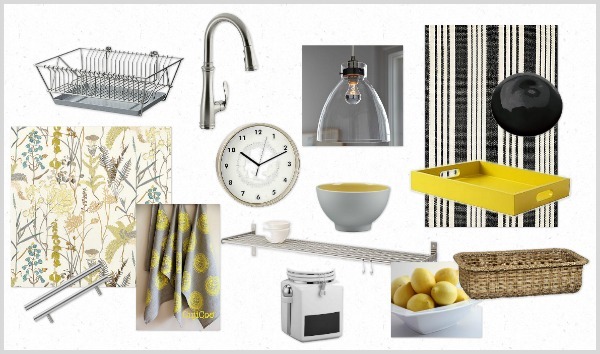 Eek….it’s driving me crazy – I know it’s a great space but can’t seem to get it to look good while being practical! You have got to be kidding me! Well, I know that you’re not but I am SO excited. We have a little galley kitchen and it’s the one thing that we haven’t touched because we didn’t know what to do. Can’t wait to share all the changes with everyone!